it was just what I wanted and has held up to multiple washes! Snug and comfy! and I look so KAWAII! I love it! Comfy and warm just what I wanted! It's exactly what I wanted and plus it's comfortable too ...I sleep with it on now also it has a lot of room in it too not like the other ones that feel tight on you !! It's definitely worth it !!!! High quality and nicely crafted. My daughter absolutely loved this. Fits as expected. Soft. Bought to wear to an upcoming music festival where it usually gets pretty chilly at night. Received a few compliments on it at the festival, held up to crowd surfing and extended wear. As soft on the inside as in the outside. These are supper soft and cozy. My daughter is using them for Halloween and they will work well for her costume. Nice quality. 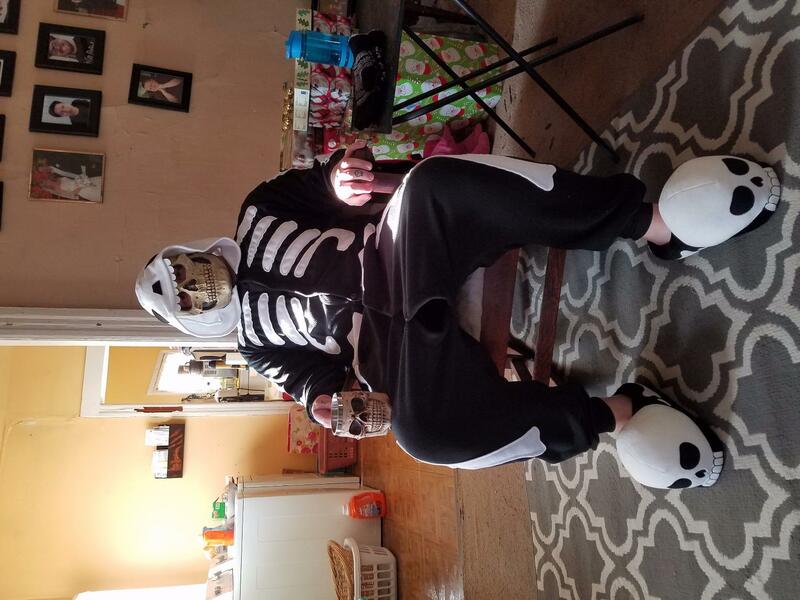 The onesie is pretty good! 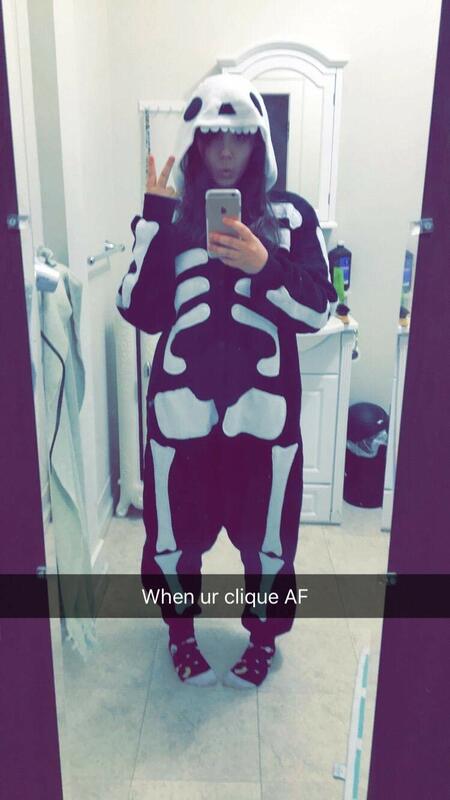 The onesie is pretty good! 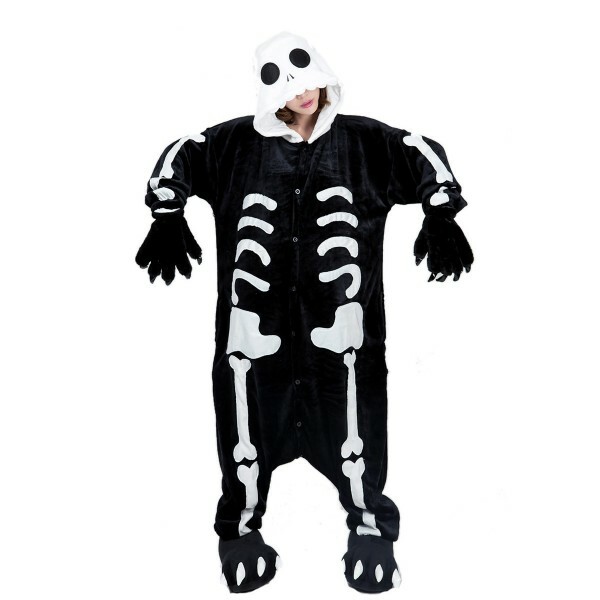 The fabric is pretty cheap so it irritates my skin (I'm allergic to a lot of things), but other than that I love it! I love this, I wear it all winter. So warm. Great for those awful, cold winter nights. 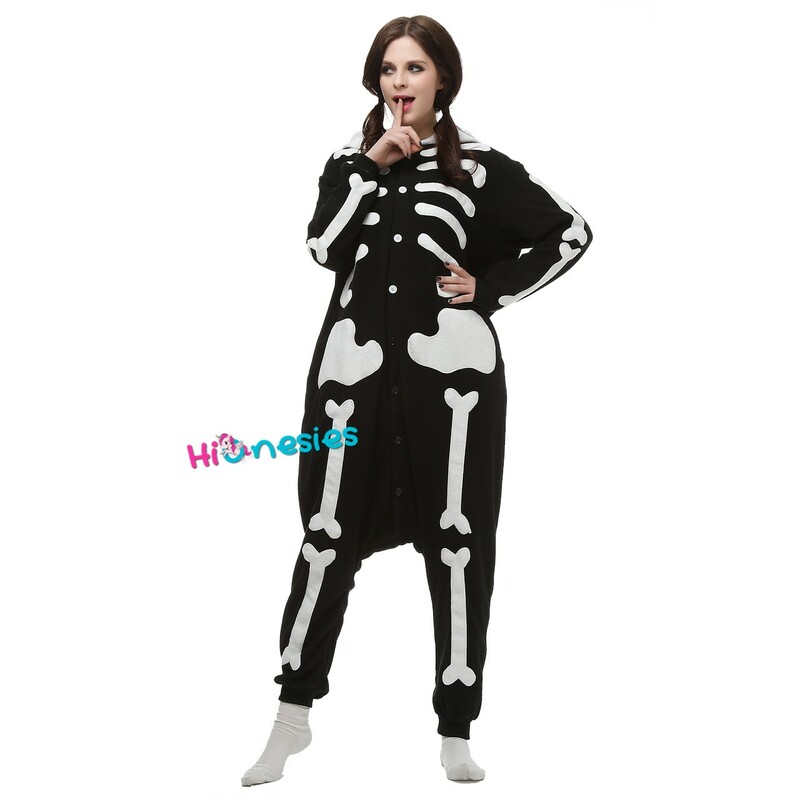 I've ordered 2 different skeleton onesies from two different companies and they were both too small and cheaply made. This one, however, is PERFECT!! It's long enough, big enough, and really soft! I love it so much!??? Warm and fuzzy. Holds up well. 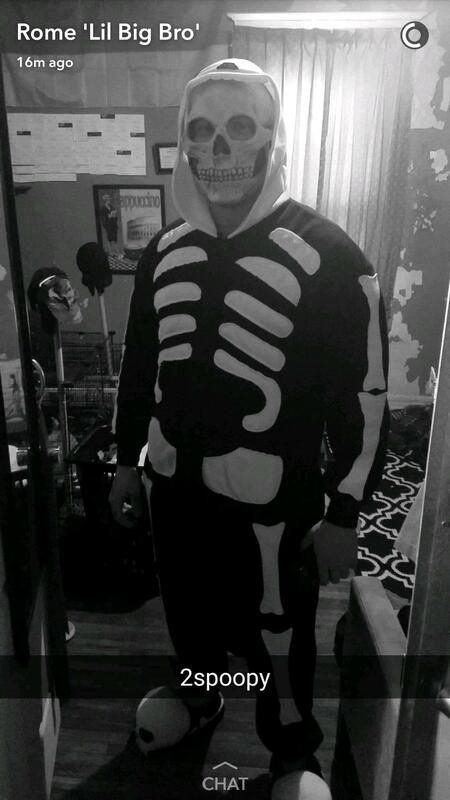 I have always wanted the skeleton onesie and I finally got one. I love it. 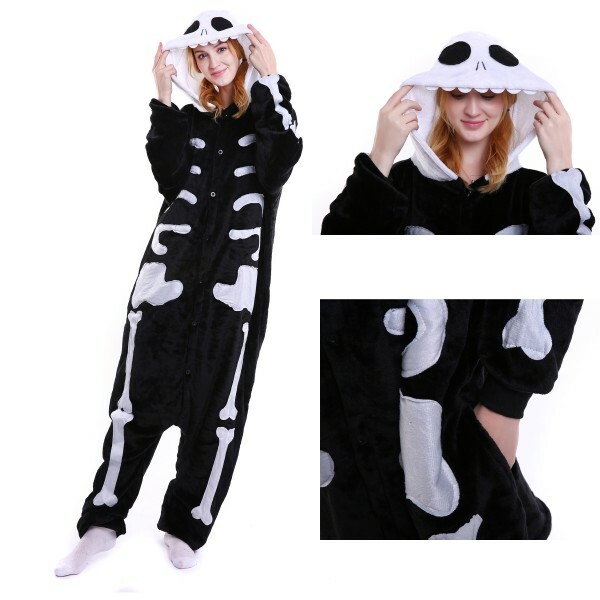 It's so comfortable and soft and the shipping was fast. Overall it was affordable! I love it! 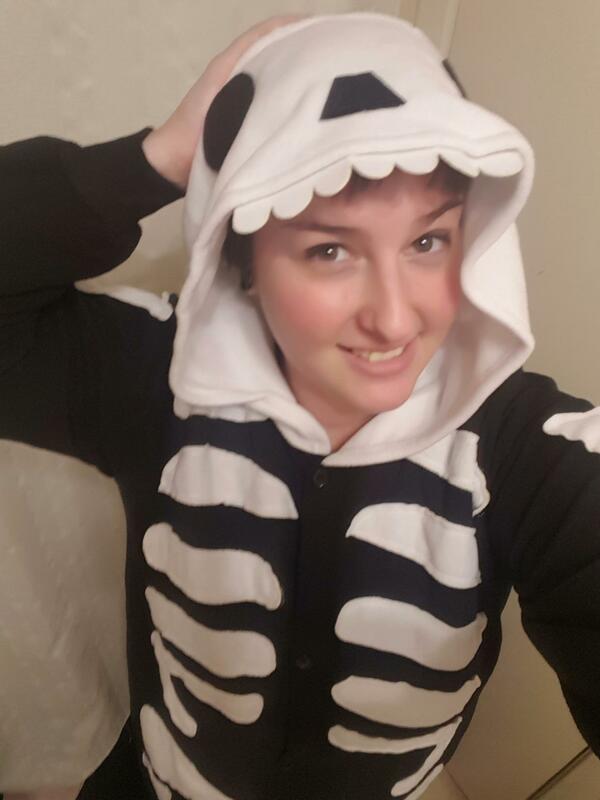 This is my first onsie and all I can say is "AHHHHH" it's awesome! 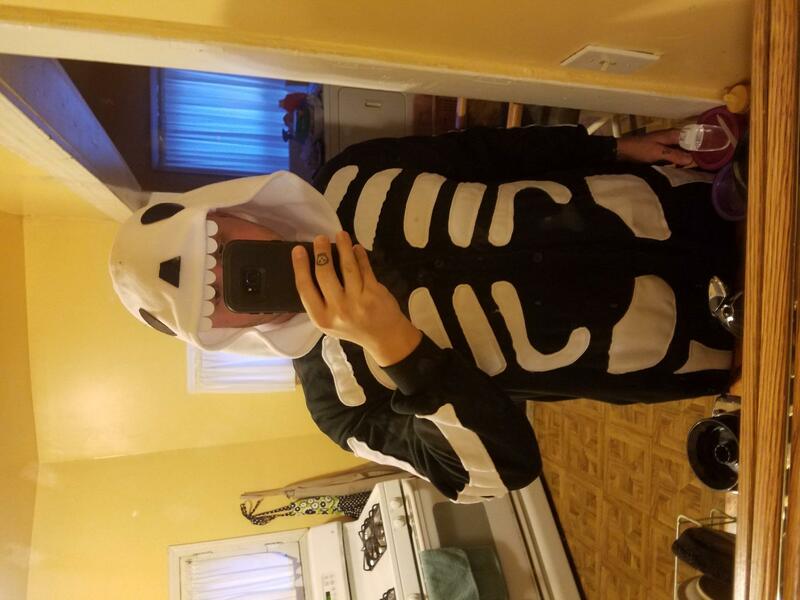 This is my first onsie and all I can say is "AHHHHH" it's awesome! The quality is so good and it's so soft, even if it's still summer, I'm still wearing it in the house all day.